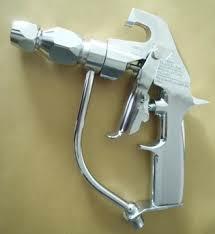 An excellent value Airless Spray Gun that is ideal for those new to Airless Spraying. This Gun comes with a hand tight Guard, four finger Trigger, and an in handle Filter which helps prevent Tip blocks (all filter mesh sizes in stock). Can be used with any Airless Sprayer Pump system. 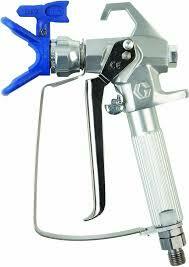 A great saving on main dealer prices, all Tips will fit this Guns Guard, except the Graco Rac X Blue. 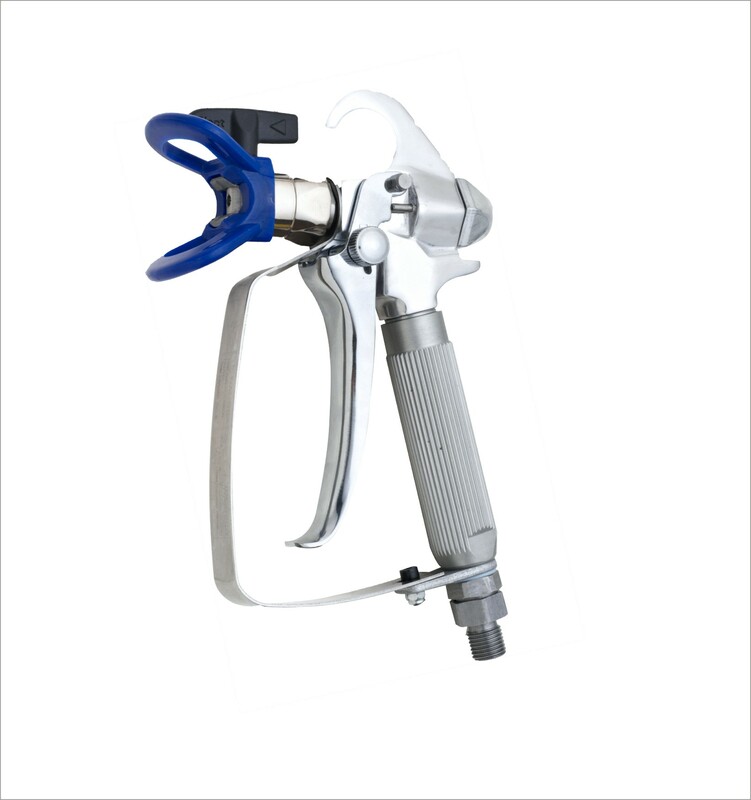 A uniquely designed, light-weight, easy to use Airless Spray Gun that delivers the performance you want. 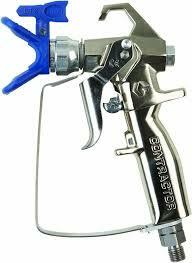 Heavy Duty, sprung 4 Finger Trigger at a 3600 psi pressure rating. 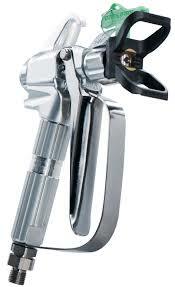 A massive 248 bar peak rating offers power when you need it most, without the fatigue you usually feel in your hands. PLEASE READ WARNING LABEL CAREFULLY, BEFORE USING THIS PRODUCT.